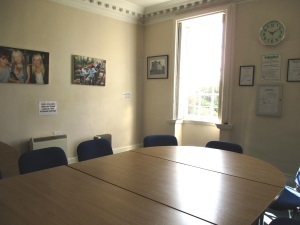 We have a conference room and two meetings rooms, all prices and information can be found on our website www.moulshammill.co.uk or ring 01245 608200 and our helpful receptionist will be able to help you. We have crafts on the ground floor with a tea and coffee shop. Free parking at the Mill for 8 cars. £10 per day for extra parking. Maps are sent out on confirmation re near by car parks of which there are two.